 Home  bigg boss 2 telugu  bigg boss 2 telugu elimination  bigg boss 2 telugu latest  Bigg Boss Telugu Season 2  Deepthi  Kaushal  Bigg Boss 2 Telugu Deepthi to be eliminated bigg Boss Telugu Season 2. Madhuri and Tanish who have been entertaining the audiences through their drama, nasty fights and cuss words. Currently there are five housemates are in Bigg Boss 2 Telugu house. Samrat has already reached finale after winning race to finale task. The other contestants are to fight for their positions in the grand finale. The sources say that the organizers are going to eliminate one participant and she is none other than Deepthi Nallamothu. Remaining the 4 contestants- Kaushal Manda, Geetha Madhuri, Tanish, and Samrat will make their entry in grand finale. As per the latest buzz, the Bigg Boss team decided to eliminate Deepthi Nallamothu based on the voting. Recently Deepthi was also in news headlines because of using dedicated PR teams. 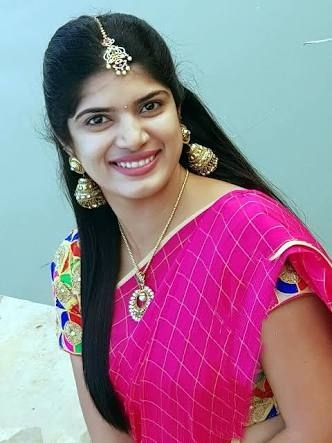 It is heard that recently Bigg Boss 2 Telugu team, investigated Deepthi’s votes lines. Though there is no official confirmation or any promo regarding this, but it is expected that she will be evicted from the show today. On the otherside, Kaushal Manda has a huge fan following across the world and is getting support from his fans and Army. Kaushal’s fans are promoting him in a grand way by designing special T-shirts, Blood donations and 2k walk event in other parts of India under his name Kaushal army. He is the first Telugu contestant who is receiving appreciations from the audiences. According to few celebrities like Anchor Ravi, Maruthi Dasari, anchor turned actress Rashmi Gautham, Kaushal may win the trophy of Bigg Boss 2 Telugu winner.